NEW YORK, N.Y. - They help give Coke its distinctive bite and Doritos its cheesy kick. But the artificial and natural flavours used to rev up the taste of processed foods remain a mystery to most Americans. "Artificial and natural flavours" have become ubiquitous terms on food labels, helping create vivid tastes that would otherwise be lost in mass production. As the science behind them advances, however, some are calling for greater transparency about their safety and ingredients. Last month, five consumer and environmental groups sent a letter to the Food and Drug Administration expressing their concern about the flavour industry, which determines the safety of its own ingredients. The letter noted that safety is sometimes declared based on scientific data that isn't publicly available. "If we're eating the stuff, it shouldn't be such a secret," said Lisa Lefferts, senior scientist at Center for Science in the Public Interest, a nutrition advocacy group that was among those who sent the letter. The call for more transparency comes as Americans pay closer attention to what they eat. In some cases, they're petitioning companies to remove chemicals. Many food scientists say the fears are unfounded because the unfamiliar ingredients often just mimic chemical structures found in nature or are used in trace amounts. But complaints have prompted companies including PepsiCo and Subway to reformulate recipes. As a result of the attention given to chemicals and ingredients as a whole, artificial and flavours are starting to get attention as well. But they can be frustrating because people often have no clue what's in them. "Natural flavours can mean whatever," said Sara Budowsky, a New York City resident who runs a vegan eating website and has become more aware added flavours. "I've always been curious when I see that last part of the ingredient list." The FDA says natural flavours have to be derived from ingredients like fruit, meat or spices, and obtained through processes like distillation or fermentation. Artificial flavours can be made chemically, say, by mixing an alcohol with a fat. It seems straightforward, but the sophistication involved in making them varies broadly. Some may just be a blend of spices, while others create the illusion that a product contains certain ingredients, like grapes. Flavours can also conjure cooking styles. With frozen dinners, for instance, "natural flavours" are often used to give the impression the meat was grilled or roasted. "A company can't grill all that meat," said Terry Miesle, a senior flavourist who specializes in savory tastes at Innova Flavours in the Chicago area. "But flavours can mimic the chemical process of cooking." A flavourist might use materials like beef stock, fats and sugar to ignite the reactions to create the "grilled" taste, he said. Tracking the size of the flavour industry is difficult in part because food companies may have their own flavourists. But consulting firm Leffingwell & Associates estimates the global industry at about $23.91 billion, up 19 per cent from $20 billion in 2000. About half that was for flavours in foods, while the rest was for fragrances, said John Leffingwell, the firm's founder and a former flavourist who helped invent Sunkist. Big flavour makers including Givaudan, Symrise and International Flavours & Fragrances declined to make representatives available. The safety of flavours is determined by the Flavor and Extract Manufacturers Association, an industry trade group. In any given year, FEMA may declare as few as 10 or as many as 100 to be safe, said John Hallagan, the association's senior adviser and general counsel. In all, FEMA says it has found around 3,000 different flavours to be safe. They're usually used in minute quantities, typically far less than 1 per cent of a product. Even so, disclosing their ingredients would likely attract more consumer complaints for companies, which are already facing pressure over ingredients. Last year, a petition noted an ingredient in Subway's bread, azodicarbonamide, is also used in yoga mats. Subway removed the ingredient, even though it is widely used in other breads. PepsiCo removed an ingredient from Gatorade after a petition by a teenager linked to a flame retardant. 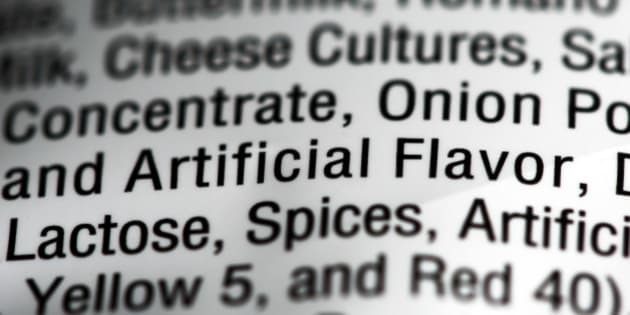 The groups asking the FDA to look into the flavour industry don't necessarily think the ingredients in flavours should be listed on packaging, since the chemical names would be meaningless to most. But companies might post information online or elsewhere, said Erik Olson of the Natural Resources Defence Council, one of the groups that sent the letter to the FDA. A representative for the FDA said the agency is looking into the concerns raised by the groups. In the meantime, flavours are opening up new possibilities. Senomyx, based in California, makes ingredients that interact with taste receptors to block or amplify attributes like sweetness. They have no taste or smell but are listed as artificial flavours. Senomyx recently said it expects one of its ingredients that allows for the reduction of sugar and high fructose corn syrup to be used in products this year. PepsiCo, which has exclusive rights to use it in non-alcoholic drinks, declined to comment.